Today I got an idea. Could we just decide that in 2019 more companies and even individuals would make more effort on doing their best to cut off the bullsh*t –be it single use plastic, poor quality gadgets made to break, wasted resources and so on – and just do better in any and every way they can? Though this time, for the initial idea, I can only blame myself for making the same mistake again. (Note to self: do not do the same mistake third time). Should have just followed my basic rule of buying only from the good ones. Like when updating my outdoor gear, nowadays only buying from the ones like Houdini, who’s both making outdoor clothing which is not all pink and red for women (!) and innovating as one of the best examples in the outdoor gear industry (honest non-paid personal opinion this is). In the pic here, you see two things I bought from tax free yesterday, on my way to Switzerland. Two examples from the skincare industry (please note the same thinking could be applied to almost any products, so men read on, please). One good and other not so good example. 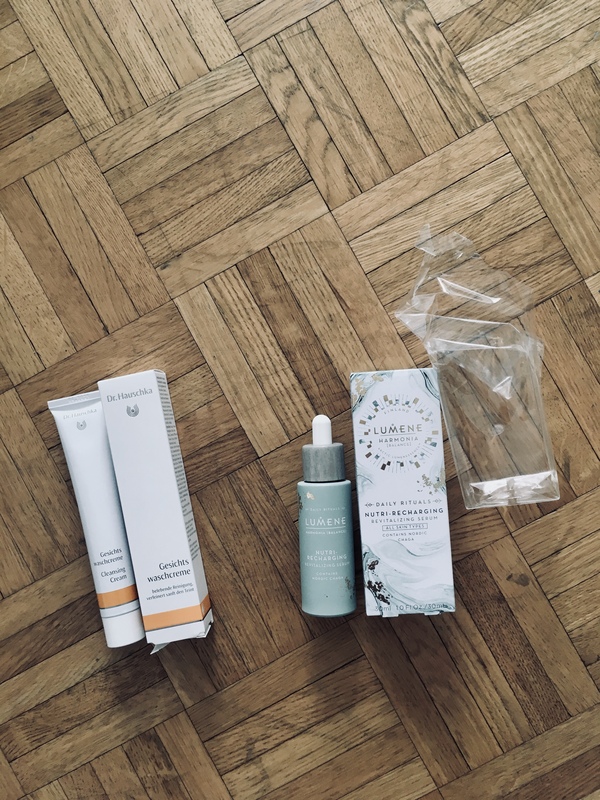 To the left is my face cleanser favourite – Dr. Hauschka cleansing cream – and the package it was sold in. 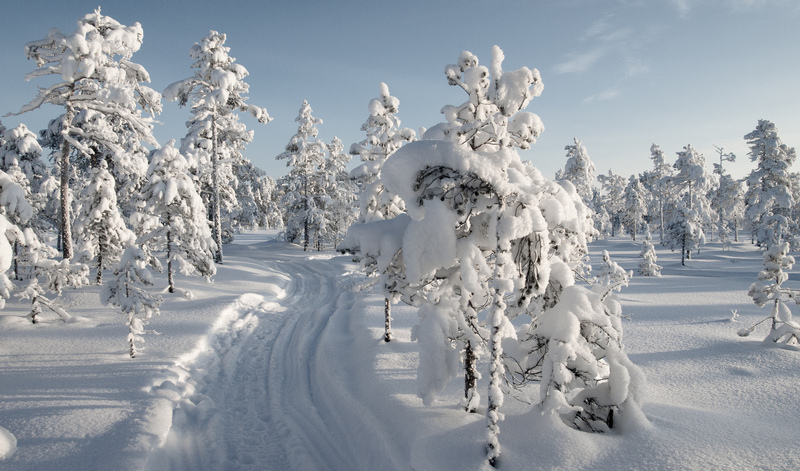 And to the right Lumene serum and its packaging, which I bought to help with my poor skin shocked by the -30°C outside air, sahara dry indoor air of my Lapland flat, and the occasional +60°C dry heat sauna (please note the humid sauna does more than good to your skin). Long story short, I cannot believe I was so stupid to buy that serum even though it came in that totally unnecessary plastic wrapping, and in the cardboard box almost twice the size of the product itself. The same stupid thing I noticed when buying Lumene’s balm last summer. Stupid, because it’s 2019 and rarely anyone – at least not the ones whose copy texts says anything about natural, nordic and arctic – uses unnecessary plastic and space in they packages. This way not adding to the plastic pollution and wasting resources in transport, storage and retail shelves. Nor other stupid stuff. I mean, it’s 2019 now and already in 2018 my Nike running shoes came in plastic free packaging – not even the tape was plastic – and every other company wanting to be ahead of the game things how to help to reach the climate goals and not destroy the resources they claim to love so much. And more importantly, the best ones act, to make a positive impact. 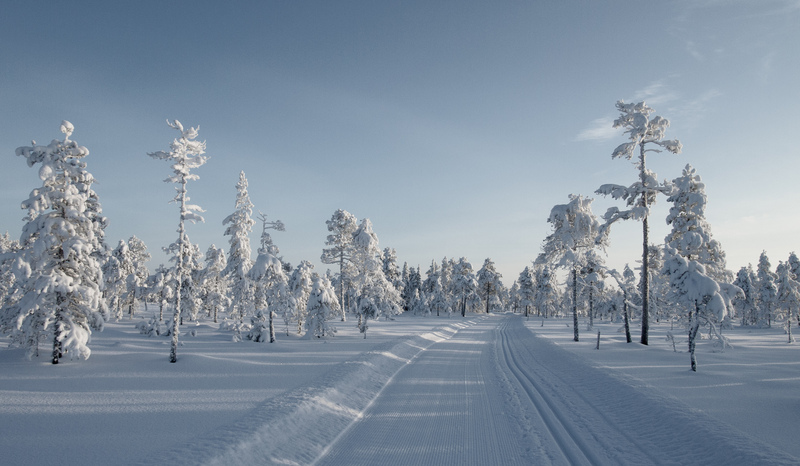 I have liked the ingredients of the harmony line products of Lumene, and as a Finnish brand utilising the great nordic resources Lumene’s kind of a brand I would like to like even more. Nevertheless, it’s 2019 and I simply don’t feel this ignorance. Because I want to see more companies making the effort, for the climate, environment and business even. Ps. More on the sustainability, rethinking packaging and beauty industry i.e. in here and here.